The states aim to protect Obama-era rules that would have forced automakers to nearly double the average fuel economy of new cars and trucks. Seventeen states and the District of Columbia are going to court to protect fuel-efficiency and greenhouse gas-reduction standards that were approved in the final days of the Obama administration. California Gov. 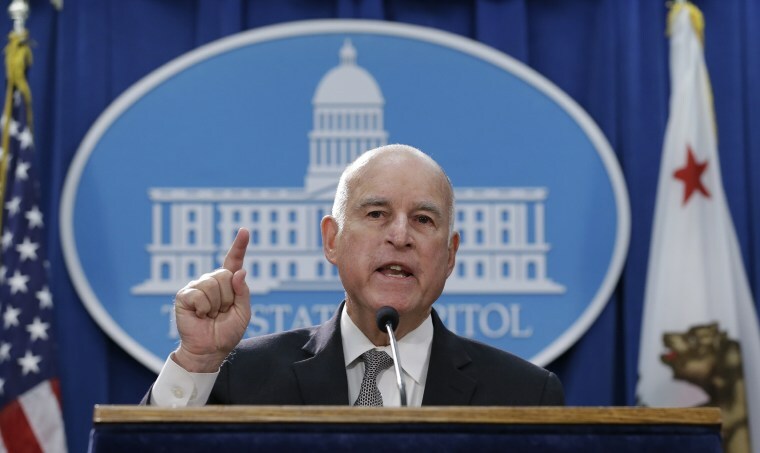 Jerry Brown and Attorney General Xavier Becerra said Tuesday that they are joining with 16 other states and D.C. to try to block a move by Environmental Protection Agency Administrator Scott Pruitt to ease higher fuel-efficiency standards for cars and light trucks that will go on sale from 2022 to 2025. Rules approved by the EPA in 2017 just before Obama left office would have forced automakers to nearly double the average fuel economy of new cars and trucks to 54.5 miles per gallon by 2025. The rules were strong enough that, if fully implemented, they would cut oil consumption by about 12 billion barrels and remove as much carbon dioxide pollution as 130 coal-fired power plants put in the air in a year, California officials said. But Pruitt made a formal finding in April that the tough standards could be infeasible for automakers to reach, potentially reduce vehicle safety and impose higher costs on consumers, particularly the poor. He announced a rule-making process to draw up new miles-per-gallon standards. Pruitt accused the Obama administration of rushing ahead with the new fuel efficiency rules. But California officials said on Tuesday that it was Pruitt and his agency that were proceeding without proper review. In taking their case to the U.S. Court of Appeals for the District of Columbia, the Californians argued that, in the words of Becerra, the fuel efficiency standards “are reachable and achievable [and] science-based." Becerra said: "The world is not flat. Pollution isn't free and the health of our children and our future is not free." The states joining California and D.C. in the appeal — Connecticut, Delaware, Illinois, Iowa, Maine, Maryland, Massachusetts, Minnesota, New Jersey, New York, Oregon, Pennsylvania, Rhode Island, Vermont, Virginia and Washington — accused the EPA of violating the federal Administrative Procedures Act, the Clean Air Act and its own clean air regulations. An EPA spokesperson said the agency does not comment on pending litigation. Becerra said California has taken the Trump administration to court 32 times, with about half of the actions centering on environmental issues. Of all the battles with the administration, the clean air and climate issues are the most important, Brown said.